Here’s a good article on the wolf management difficulties faced by Montana Fish, Wildlife and Parks . . .
Wolves are complex critters that for centuries have inspired myths and legends while generating fierce controversies, an animal whose presence on the landscape is at once magical and maddening, captivating wildlife lovers while commanding condemnation from hunters who say the population of predators is decimating the bounty of big game in Montana. Livestock producers living on the wild edges of wolf country have their own set of challenges, forced to keep constant vigil over calving pastures that serve as a veritable beef buffet for a pack of predators. And wildlife managers with Montana Fish, Wildlife and Parks (FWP), the agency tasked with implementing regulatory mechanisms to manage wolves following delisting of the species from the Endangered Species Act in 2011, which granted the state full management authority of its wolf population, are caught in the middle, seeking to strike a delicate balance amid competing interests that remain bitterly divided. Montana plans to change the way they count wolves. The Missoulian has the story. We’ve also included a link to the official Montana FWP press release discussing the subject . . .
Montana wildlife officials say the way they count wolves is too expensive and falls far short of an actual population estimate, so they plan to switch to a model that uses information gathered from hunters. However, wildlife advocates say wolf numbers are declining and the switch could threaten the species’ survival. They worry the data is too unreliable to be used to manage the population. The change, expected within the next three years after improvements to the model, will be cheaper than the annual wolf counts conducted now and provide a more accurate estimate of the total population, Montana Fish, Wildlife and Parks officials said. 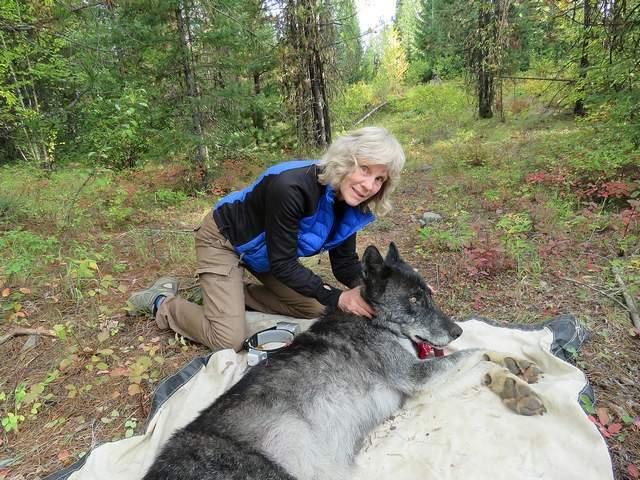 Here’s a write-up from the Flathead Beacon on the state of the wolf population in Montana. Also see the previous post containing the full press release from Montana Fish, Wildlife and Parks . . .
Five years after the contentious decision to remove federal protections under the Endangered Species Act, Montana’s gray wolf population remains healthy and among the largest in the Northern Rockies, according to state wildlife officials. The state’s Fish, Wildlife and Parks Department reported a minimum count of 536 wolves across Montana in 2015, 18 fewer than the previous year but well above the federally-mandated minimum of 150. Biologists confirmed a minimum of 32 breeding pairs, down from 34 in 2014. The federal and state standard requires a minimum of 15 breeding pairs. From an April 1, 2016 press release by Montana Fish, Wildlife and Parks. Note the informational links at the end of the article . 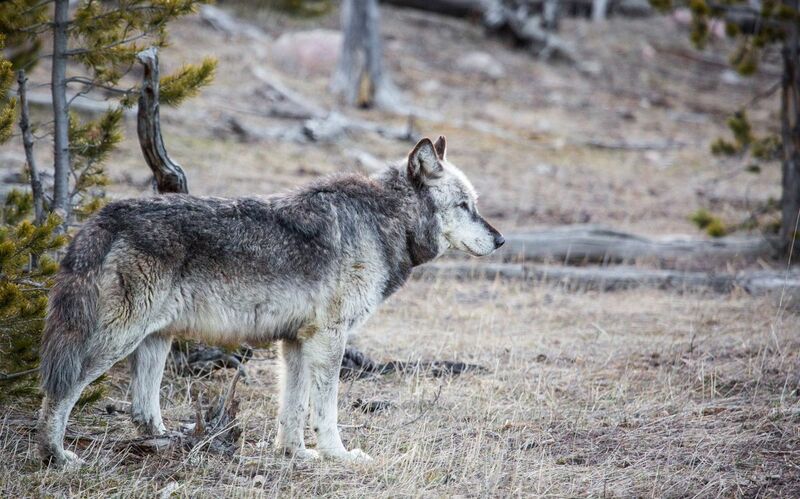 . .
Wolf numbers in Montana remain healthy and well above federally-mandated minimums as the fifth and final year of federal oversight of state wolf management comes to an end in May. Montana’s annual wolf report shows a minimum wolf count of 536 wolves in 2015, which is down from 554 in 2014. Included in this number is a minimum number of breeding pairs of 32, which is down from 34 in 2014. The difference between the overall minimum wolf counts in 2014 and 2015 is 18, well within the variability expected when counting a wide-ranging species that often occupies rough timbered country. Several conservation groups want the U.S. Fish and Wildlife Service to continue keeping an eye on things in areas where the gray wolf has been delisted . . .
Five conservation groups on Tuesday asked the U.S. 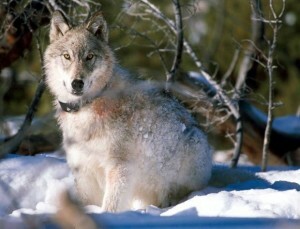 Fish and Wildlife Service to extend its oversight of wolves in Montana and Idaho that is set to expire in May. 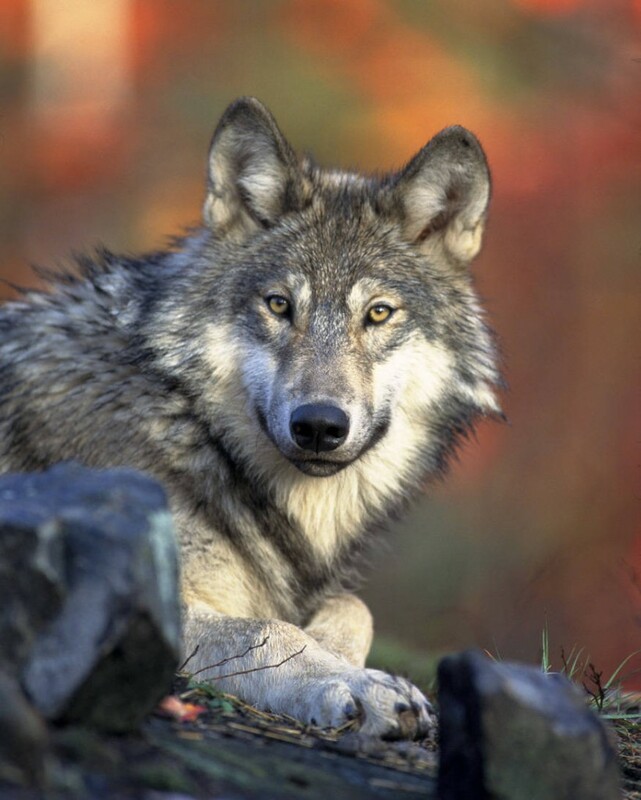 The agency removed the two states’ gray wolf populations from the Endangered Species List in 2011 after finding they were sufficiently recovered. The delisting order required the Fish and Wildlife Service to continue monitoring the population for five years as the states’ wildlife agencies assume management of the species. Remember “OR7,” the Oregon-based wolf that created a stir when it wandered into Northern California about three years ago? It looks like he has fathered at least two pups . . . Trail camera photos confirm that Oregon’s famous wandering wolf, OR-7, has fathered at least two new pups. U.S. Fish and Wildlife Service biologist John Stephenson said Thursday that brings to seven the number of wolves in the Rogue pack, which lives on the Rogue River-Siskiyou National Forest in the Cascades of southwestern Oregon. That includes three pups from last year. Biologists had confirmed the second set of pups last July, but didn’t know how many. Kent Laudon, a Montana FWP wolf expert, retires as the state shifts from wolf recovery to management . . .
With gray wolves recovered in Northwest Montana, the state wildlife agency’s role has been moving from species monitoring to management, including hunting. One of the biggest elements of that change is the departure of Kent Laudon, the region’s top wolf expert who retired Friday after a decade spent trapping, tracking and monitoring wolves in the Northwest Recovery Zone, which roughly spans the top half of Montana’s Rocky Mountains. He started working for Montana Fish, Wildlife and Parks as the regional wolf management specialist in 2004, tasked with determining how many packs are in the area each year and how many wolves are in each pack. Hunting pressure decreased the number of wolves in Montana . . . The number of gray wolves in Montana continues to decline under the state’s management efforts but remains above federal recovery goals, according to the Fish, Wildlife and Parks department. State officials released an annual report detailing the status of the controversial animal, which remains the subject of scrutiny and debate throughout the West.